Disturbing run-on story from one that was noted last week. More joy as we get to see the anti-wind power morons and trolls try to sound sensible in the moron comment area after this article. Not sure why this advice is aimed specifically at Dumfries; patients, and denied to Glaswegians (and others) but having just ‘enjoyed’ a period of (weeks of) enforced immobility, I can only say the sooner you get moving the better, and it’s a PIG to recover lost strength. More moronic responses, after a ‘driverless’ bus article that does not even suggest the buses will be on the public road, yet at least one moron revels in “I mean it’s not like a bus could hurt anyone.” Can you imagine trying to have a (meaningful) conversation with such cretins? In last week’s Round-up I was pleased to mention the Sutherland spaceport proposal. Sadly, this week I have to report that the morons, sorry, politically motivated, have hijacked it. The sooner we build this spaceport, and use it to build our own version of the Golgafrincham B Ark, and load all the politically motivated on to it, the better! 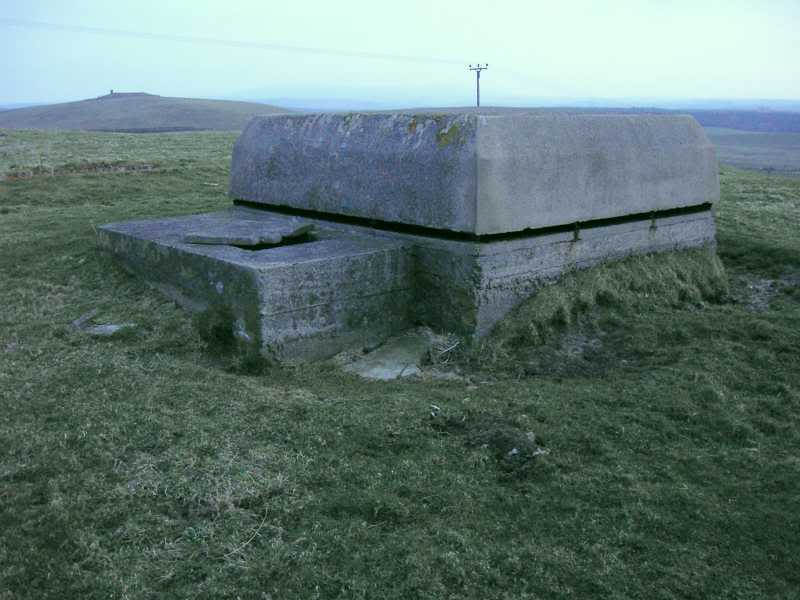 The B Ark featured in The Hitchhiker’s Guide To The Galaxy, and was technically named “Golgafrincham Ark Fleet, Ship B”. The Golgafrincham civilization planned to eliminate its society of its most useless members. They created a legend that their world was about to be destroyed so three arks had to be built. Ark A would carry all the high achievers. Ark C would carry the blue-collar workers, those who build and make things. Ark B was for what was left – so that’s where the political types would go. The B Ark was the first to be completed and launched – but was actually set to fly into the Sun. There never was an A or C ark. Interesting… I wonder if any Unexplained Wealth Orders (UWOs) will apply to any of the overseas of land and property in Scotland? I’ve visited a few ‘Big Houses’ over the years, and was intrigued to learn where the absentee owners were from. Not that I’m pointing at them, since they have invested and saved the estates the took overs. Just wondering about others I don’t know. What is with the disgusting ice-cream flavours? Last time it was square sausage, now… (give is a break, you’re just seeking attention for free publicity). Sadly, it’s not just The Scotsman’s comment area that becomes ‘Moron Central’ when an article has such an area, and it seems the dross which was attracted to a story about a giant gold nugget found in a Scottish river was so bad that a number of decent commenters were moved to mention just how bad they were. By the time I’d read just a few of them to get an idea of what was being said, even though I knew the legal position regarding such finds, I was completely lost after reading so many ‘expert’ opinions on the matter – they really don’t have a clue, and I pity anyone who might actually ever listen to them. Wildcat kittens in the news again, which can’t be bad, with two born at the Alladale Wilderness Reserve in Sutherland. 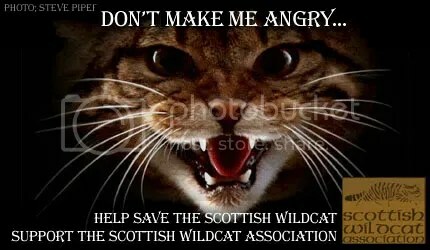 It’s good that the cats can get on with what needs to be done, while two competing groups are more interested in arguing about which has the right approach to saving the Scottish wildcat from extinction. Hadn’t expected much in the news, but there’s almost a ‘brick-by-brick’ (or stone-by-stone) summary. The south section of the east gable has been taken down to match the level of the south wall and steel roof beams on the north east corner were safely removed and lifted to ground level. Most of the material removed this week was too badly damaged to be retained but a limited amount of material was in a good enough condition and taken from the building for recording before removal to off-site storage. Further work this week includes further reductions to the height of the south façade, removal of debris from the second floor level, and down taking of existing scaffolding around the north east corner of the building. The outstretched paws will be feeling a little warmer after this news. The emergency funding announced by the Scottish government is for firms who can show hardship as a result of the fires. It will be made available to Glasgow City Council for distribution to businesses within the cordons, and to those in the Sauchiehall Street area who can show hardship from the impact of the fires. All businesses within both the Mackintosh Building and Victoria’s cordons will receive £20,000 of direct financial support, with other businesses in the area who have been impacted by a fall in footfall eligible for £10,000 of support. Glasgow City Council will administer the funding with applications for all businesses open from 31 July. Eligibility criteria for those outside the cordon will be set out ahead of the opening of applications following discussion with local business advisers. Following the fire at the Glasgow School of Art, the Scottish government and Glasgow City Council have already delivered 100% rates relief for affected businesses and grants of £3,000 made available to households in the cordoned off area. The council has so far made 44 payments relating to 47 individuals in 33 properties. Economy Secretary Derek Mackay said: “The terrible fires at the Glasgow School of Art and Victoria’s are having a significant impact on many local businesses who are either closed or unable to access their premises. Given the scale of the on-going disruption, I am making up to £5m available immediately to support those businesses affected. “The Scottish government has already increased our contribution to hardship funding from 75% to 95%, and made available £1,500, matched by the Lord Provost’s Trust for vulnerable citizens (so it’s really £3,000), to residents displaced from their homes by the Mackintosh building fire and will extend that to businesses facing the same impacts as a result of the fire at Victoria’s. Glasgow Chamber of Commerce welcomed the announcement of the fund. While it’s not exactly about the Mackintosh Building, the fire which destroyed nearby Victoria’s nightclub back in March also led to fairly extensive road closures as plant and machinery was moved in to place, and the building was demolished. Work to reopen a busy Glasgow street partly shut since a fire in March is beginning as demolition work ends. A cordon was set up on Renfield Street following the blaze at Victoria’s nightclub on Sauchiehall Street on March 22. The block housing the club was demolished following the fire for public safety. Glasgow City Council said rubble from the demolition has been cleared away and heavy machinery has been removed from the site. Work will begin on Thursday to move the cordon on Renfield Street back to the pedestrian precinct on Sauchiehall Street. It will allow traffic to move between Renfrew Street and Bath Street and pedestrians to use pavements on both sides of Renfield Street. The pedestrian precinct on Sauchiehall Street will remain closed to the public while utility companies reconnect essential services, however. Renfrew Lane will also remain closed and hoardings are being put up. The local authority hopes that all work will be completed by August 3 but the cordon may be moved back further before then. Sad to say I didn’t even notice this as I seldom have any reason to pass through that end of Sauchiehall Street now. Unless there’s a noticeable gap site, since I wasn’t able to make it in earlier, I won’t get to see this at all, if I try to get along that far later. I can’t remember catching this before (and I’m too lazy to check), and think I always get distracted by the giant girl further along Mitchell Street. I don’t usually walk down this street (towards Argyle Street) either, so this change in routine meant I was walking towards this taxi, so couldn’t miss it. Sad to say, it looks as if it’s getting a little tired and worn, with the paint peeling off the wall in places. I’ve given it a little processing to liven up the contrast and colours a little, so be aware that in real life it doesn’t really look as good as this pic suggests. Maybe now that the Glasgow Mural Trail is a promoted tourist trap, it should also be maintained? Quite a few of the early creations are beginning to look faded, and some have even been lost completely (for various reasons, not their fault). Dating from 1889, built as a Barrowfield weaving factory (which included the buildings behind as the total works site), this survivor from the past features polychrome brick, and the sort of geometric pattern that Alexander ‘Greek’ Thomson would have recognised. Built for John French and Son, power-loom muslin manufacturers. Records show the polychrome brick decoration costing some £700 in 1891. That would be around £85,000 in 2018. It’s nice to see some love extend to old building like this, still in use, not abandoned and decaying. Hopefully this will last. Obvious features are the modern roof, which looks pretty good, and extensive structural bracing of the end wall. Safe to assume that if that hadn’t been added at some point, and this building had not been some sort of occupation and been in use, it would have disappeared long ago. The grey lighting on the day didn’t do the building many favours, and the polychrome bricks don’t look as bright as they could on a bright day, and the decorative brickwork (between the ground and first floor) is all but invisible in this low contrast scene. 29 July is Lasagne Day. I have to confess being late to the ‘lasagne table’ – it was probably something considered ‘foreign food’ in my younger days, so wasn’t something even considered for serving in our house. However, I guess the advantage of that sort of thing is that you can enjoy the later find. And, if you grew up when Garfield became popular, you grew up with an appreciation for the joy of a fine lasagna. ‘Garfield Mondays’ cane into existence, and this was a reference to eating lots of lasagna and living in your bed. 29 July is Rain Day. Being a Scot in Scotland – there’s not a lot to say about Rain Day. But then again, just ONE day dedicated to rain?